Who's the moosiest moose we know? Marty Moose! 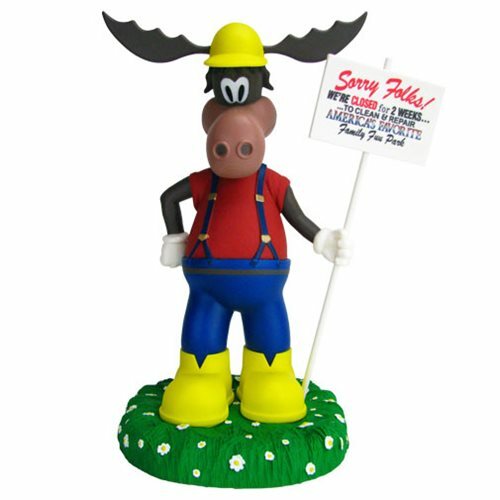 The beloved mascot of WalleyWorld, who greeted the Griswolds upon their arrival at the magical theme park, is now a vinyl bank! Measuring approximately 11-inches tall, Marty will help you save up for your own family vacation, with a coin slot in his back and an access door in the base. Featuring collectible-quality paint and sculpting, Marty comes packaged in a clear polybag. Ages 8 and up.